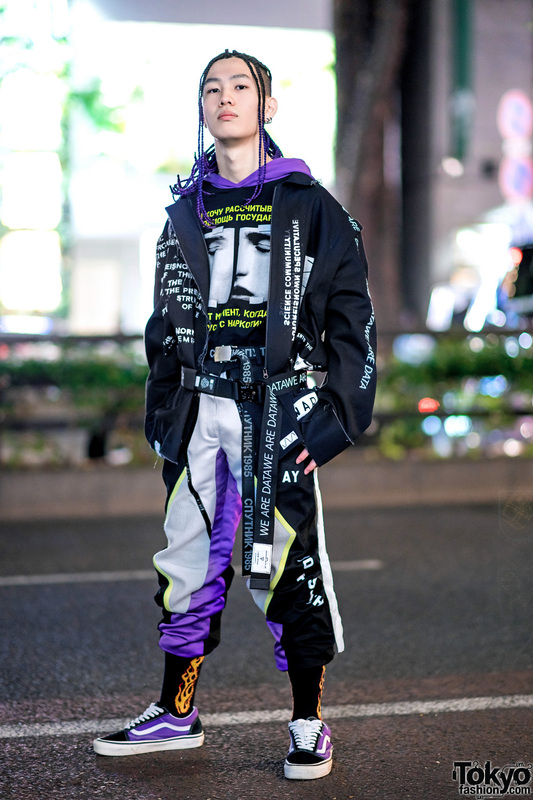 Harajuku girls wearing two-tone street styles with Lakers jersey, purple skirt, colorblock sandals, ribbed tank top, Jordan pants and patent leather boots. Harajuku guy dressed in a vintage button down shirt, camo print shorts, flame socks and printed sneakers. 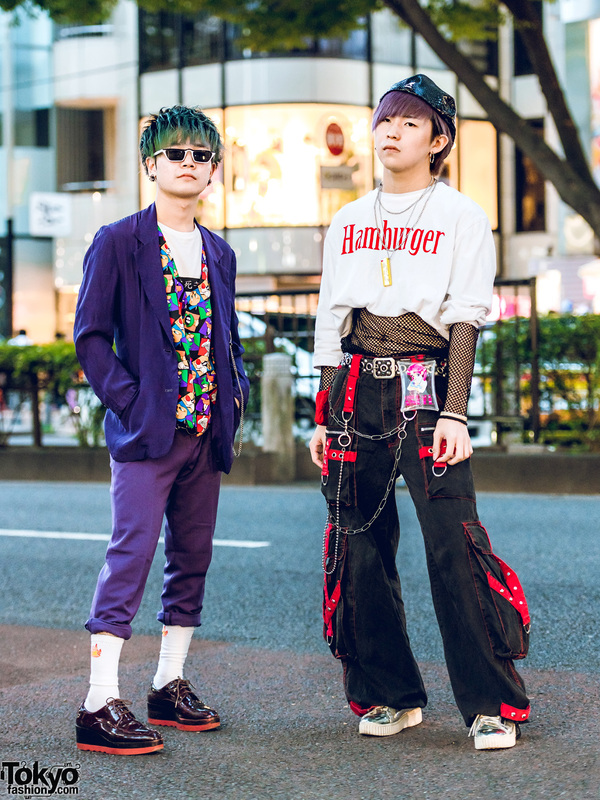 Harajuku duo sporting two-tone street styles while out and about on the street. Harajuku girls wearing a sheer skirt and cute tops from Bubbles Harajuku with platform sandals from WEGO and ANAP.